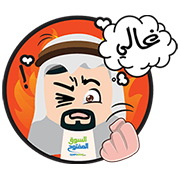 http://www.line-stickers.com/ – Tojjar / Tujjar Al Khalij Line Sticker | OpenSooqKSA characters depict scenes and phrases people use everyday. Friend OpenSooqKSAʹs official account to get the set! Available till November 9, 2015. Next post Ghussa Pi Ja!